At ERO, we pride ourselves on the expertise on our staff, but it seems like none of us could compete with one young archivist who worked here in the 1960s. Despite his youth, this was actually the third title which Carr had won on the quiz. 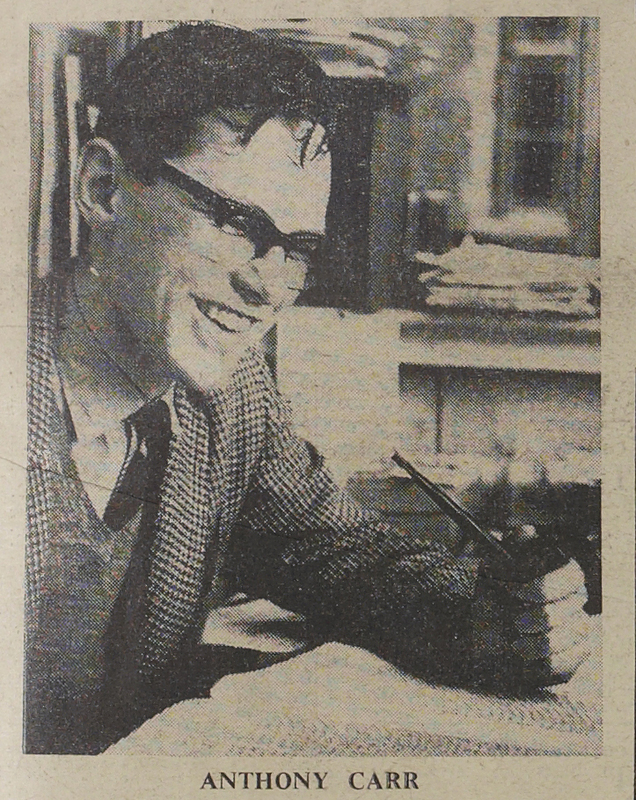 In 1956, at the age of 18, he had won the ‘Brain of Britain’ competition, beating a schoolmaster and a headteacher. He was the youngest ever winner, a record he maintains to this day. Mr Carr had just left school and was working as a paper boy at the time, inspiring national headlines. In the same year, he also won the 3-yearly competition ‘Brain of Brains’, beating the winners of ‘Brain of Britain’ from 1955 and 1954. 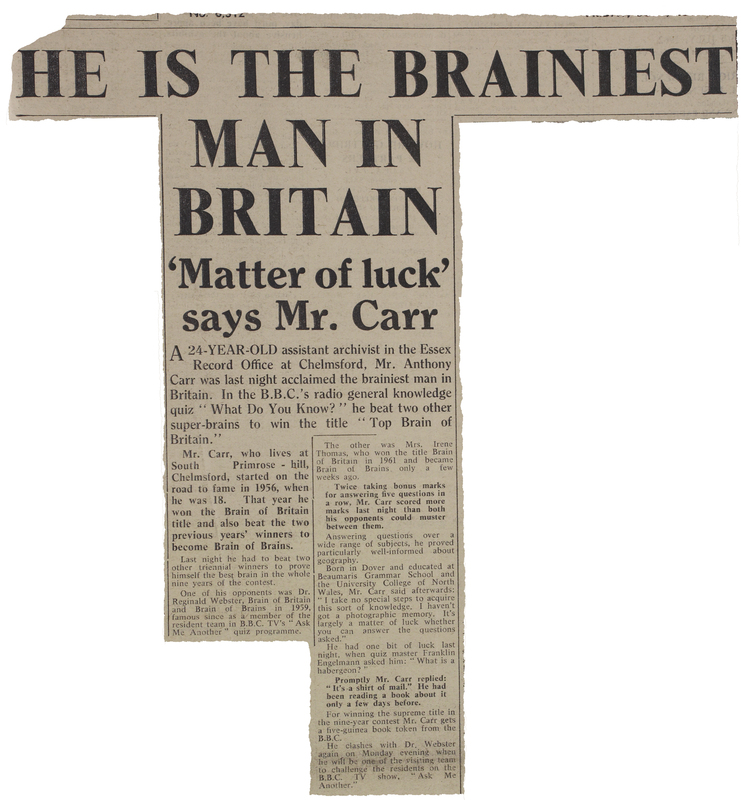 The ‘Top Brain of Britain’ competition which Mr Carr won in 1962 while working at the ERO was a 9-yearly title, in which 3 winners of the ‘Brain of Brains’ competition battled it out. Not only did Mr Carr win, he scored more points than both of his opponents combined. His prize was a five guinea book token. I take no special steps to acquire this sort of knowledge. I haven’t got a photographic memory. It’s largely a matter of luck whether you can answer the questions asked. Despite his modesty, he was clearly a highly intelligent man and very widely read. Mr Carr has in recent years said that his time as a paper boy helped him to do well in the quiz, as reading the headlines as he delivered the papers helped him to stay well-informed on current affairs. After four years at the ERO, Mr Carr returned to the University of Bangor, where he had previously studied, and eventually became a professor of medieval Welsh history.